Seeing as my coworker posted a lovely blog about 10 reasons she’s glad to be a skier, I thought it would only make sense to post the 10 reasons Snowboarding is better than skiing. Of course picking only 10 was tough, but for the sake of this article I figured I could narrow it down. Ski boots are the worst. Even skiers will tell you that. Snowboard boots? They’re really nothing more than an over built shoe with extra support, cushioning, and warmth. Call me crazy, but I guess I’m just a fan of walking down stairs at a normal pace without clutching the railing for dear life. Reason number two why Snowboarding is better than skiing. 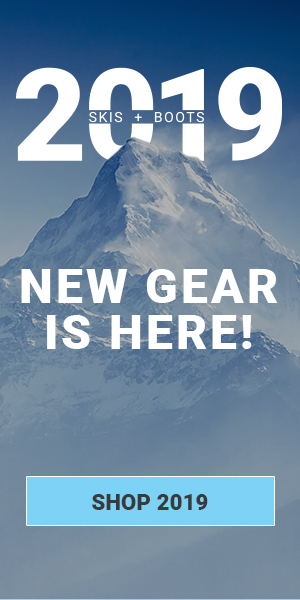 Lift tickets aren’t cheap for anyone, but at least our gear is a little less expensive. A beginner can get into a new ski setup for $500-$600 at best. Where on the snowboard side you can get out for $300-$400. It’s tough to deny that the first day or so of snowboarding can be rough, especially without a lesson. However, there is sun behind those clouds and many feel that while tougher to begin with, it’s actually easier to progress and become a “good” snowboarder than it is a “good” skier. Snowboarding eventually just “clicks”, and then you’re rewarded with a lifetime of not being a skier. After a big spill, nothing diminishes your dignity even more than having to collect or chase after all your gear. Snowboarding is better than skiing because as a snowboarder, I don’t have to worry about that. All I have to do is get up, brush myself off, and carry on. Sure the fall probably didn’t look graceful, but nothing is sadder than watching the poor guy who just somersaulted twice trying to figure out how to retrieve one of his poles 30 yards up hill. And his other ski 30 yards downhill. On the rare occasion I’m jealous of poles (usually on cat tracks) but for the most part they seem like just one more thing to have to carry around. Another thing to juggle, another thing to lose, another thing to get stuck in the chair as you’re trying to get off. Think I’m exaggerating? Count the number of poles left outside of the lodge at the end of the night, or the amount of poles below a long lift. Technically, I could mount a ski binding as well, but only because I’ve been certified and have access to tools for testing release settings. Any idiot can mount a snowboard binding because all it takes is the ability to use a screwdriver. Sure you can play with angles and width, but you aren’t taking your life into your own hands by doing it yourself. Snowboarding is better than skiing because skiing can be pretty rough on your knees. Since you aren’t connected to the same surface area, injuries due to twisting falls can occur. During my years in the shop I’d meet a decent amount older people switching to snowboarding from skiing because their knees couldn’t take it anymore. Maybe it’s because we’re working harder, or maybe it’s due to the movements being more exaggerated but snowboarding does seem to warm up the body a bit more than skiing. It’s also been proven to burn more calories. You rarely hear a snowboarder complaining about cold feet. Although, for more on that review #1. Go ahead; make your jokes about snowboarders getting in the way sitting on the hill, but I think you’re just jealous. Pulling over to pop a squat because you need a quick break is a heck of a lot easier and more comfortable as a snowboarder. On skis, sure you can position yourself parallel to the hill and flop on your side, but it’s more effort to get back up than even worth. You’re better off waiting until you get back on the chair. Call it public perception or call it reality, but snowboarding has always had a “cool” vibe to it. Twin tippers have made a good run at it, but tall tee’s can only get you so far. Snowboarding as a discipline may be maturing, but when it comes down to it we’ll never be able to pull a “daffy”, and that just might be what makes us cooler. dude this page is awesome. I’ll give you the equipment debate. As a skier i’m definitely jealous of your soft, warm boots. I’ll even agree it’s ‘easier on your knees’, although I wouldn’t really know because I’ve never tried snowboarding. But that’s where I’ll stop. There is nothing cool about a pack of boarders littering the slopes taking a “rest”. I get it, cat tracks are probably exhausting, but at least get off to the side of the slope! Theres nothing that I find more annoying or disrespectful (in the lacking awareness of others around you sense). I also don’t think it looks cool when snowboarders slide down steep trails on their back edge, the WHOLE way down, essentially scraping away the entire top layer of snow. And in the mogul fields, it’s not much better; scraaaape, scraaape, sCraAaapeE! Sorry, but skiing is better! I can only accept. Everything written here is exactly why snowboarding is better than skiing. Thanks for making that clear. The last point made me laugh, but its f***ing true though :D.
It depends on the snow conditions…icy/skis…slushy/board…powder/double-day of fun!! I only hear negs from people afraid to try. I feel lucky to live at a mountain where everyone is encouraged to do both! !